2019 continues to be an exciting year for travel within Brazil. Perhaps most importantly, it was announced just weeks ago that as of June 17, 2019 American & Canadian citizens would no longer be required to obtain tourist visas to travel to Brazil. We “Brazil Nuts” have been waiting for this news for decades! But there are other wonderful developments within Brazil that are equally wonderful for travel enthusiasts. 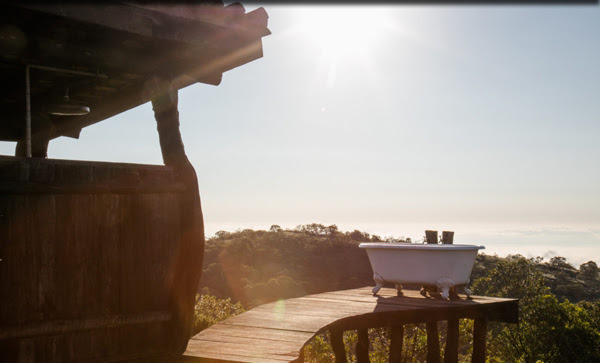 We are seeing a steady increase in the number of boutique hotels and nature lodges springing up all over Brazil. One of our favorite new finds is Reserva do Ibitipoca, located in the heart of the state of Minas Gerais. Some may know the state of Minas Gerais for its famous cheese, while others may have heard of (or even traveled to) its enchanting colonial cities like Ouro Preto and Congonhas, both of which are UNESCO Heritage Sites. Minas Gerais, or “Minas” as it’s known colloquially to most Brazilians, is one of Brazil’s most significant states in terms of economy, culture and history. What is perhaps lesser known outside of Brazil however is the natural beauty this region possesses. Many locals from Rio de Janeiro or Sao Paulo will come out to the Cerrado, or farm-like savanna region of Brazil’s interior, for an escape to the countryside. The Cerrado of Minas Gerais is visually breathtaking, providing the perfect respite from city life and backdrop for the ultimate encounter with nature. The smell of freshly brewed coffee, bread just out of the oven, the feeling of being at home defines mineiros and their traditions. Now thanks to the recent renovations of the lodge at Reserva do Ibitipoca, you can experience the mineiro charm for yourself. Reserva do Ibitipoca, a farmhouse dating back to 1715, embodies the essence of Minas Gerais. 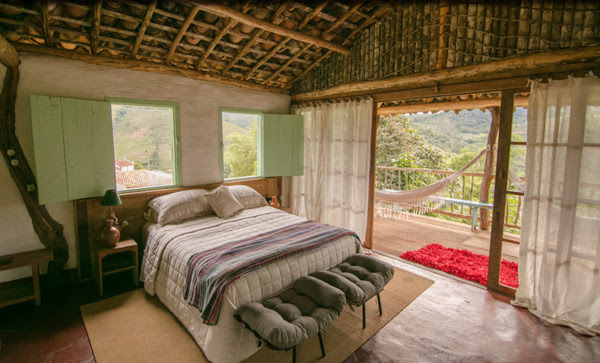 This charming lodge is ideal for those who want to relax, disconnect from the digital world, enjoy delicious homemade food and see an authentic side of Brazil known to remarkably few tourists. A typical mineiro breakfast awaits! Located in the state’s Zona da Mata region in the village of Conceição do Ibitipoca, Reserva do Ibitipoca is surrounded by Ibitipoca State Park, one of the most astonishing places in Minas Gerais. With its trails, waterfalls, caves, lakes, rivers and mountain peaks of up to 1,800 meters, the nature reserve mesmerises even those not used to hiking and outdoor activities. Secluded from the big cities and relatively unknown to tourists, the lodge harmoniously blends luxury and simplicity which makes it stand out from others. Recognizing the growing interest in sustainable tourism and unique nature-focused properties, the owners have opened five wonderful bungalow-style accommodations in an area they’ve dubbed “Reserva Remote”. Perfectly in tune with their existing options, they have been designed to be able to offer guests an even more exclusive experience. A maximum of 600 visitors a day are permitted to enter the Ibitipoca State Park. Guests at Reserva do Ibitipoca guests get guaranteed, priority entry, as the lodge’s land is a private reserve adjacent to the park. Reserva do Ibitipoca offer a variety of experiences to enrich your stay. Among the activities offered are yoga (daily morning class is included! ), massages, stand-up paddle boarding, bike tours, “beach” volleyball, horseback riding, bird watching and picnics. All meals are included, as well as a daily tea time. The great thing about Reserva do Ibitipoca is its proximity to so many other great destinations within Brazil. Ibitipoca can easily be combined with a trip to Ouro Preto and other colonial cities in Minas Gerais. It’s also less than a five-hour drive from Rio de Janeiro and on the way travelers can make a stop in Petropolis to visit the beautiful Imperial Palace, home of the Brazilian monarchs until the nineteenth century. If you’re looking for some beach after Rio, you can head two hours north by car to the chic beach town of Buzios or a few hours south to tropical Ilha Grande or historical Paraty. Moral of the story? You can have an incredible unique experience within diverse regions of Brazil without ever having to board an internal flight! We’re excited to see the trend of eco lodges developing in lesser known parts of Brazil and hope that these developments, coupled with the big news on visa-free travel, lead to incredible experiences for travelers in what appears to be a promising year for one of our favorite countries.